We supply Olivetti printers and photocopiers for all size of business. 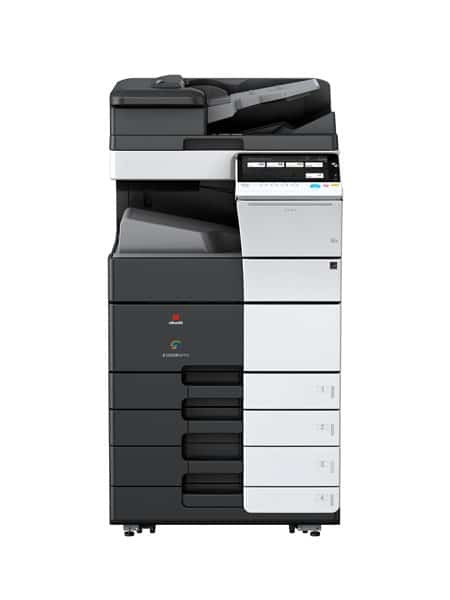 Whether all you need is an all in one printer right through to a full commercial multifunction printer, copier with accessories such as a fold and staple binding add-on we know the range inside and out. The entire Olivetti range can be purchased from us on our unique fully managed service package. We take the headache away from having to order new toner, if you have a fault we’ll be there within maximum 4 hours. We provide lots of best practice information on how you can get the best from your investment in a print solution. As an official Olivetti BEST FOR COLOUR dealer we can supply an extensive range of highly reliable and cost effective products as well as offering training and support, service and consumables. BUY, LEASE, RENT OR SERVICE AN OLIVETTI PRINTER TODAY! Our copier rental packages can range from a day, to a week, several months, a year, or even longer. Our one-off service consists of a detailed inspection, testing of mechanical and electrical parts. We can help answer any questions you may have.